As president of Jennifer Grant International, I coach, mentor and speak to many clients on the importance of presenting themselves with a positive, polished and professional image. In these settings, I make a point of presenting 'myself' in a very positive, polished and professional manner. I have a great interest and aptitude for helping my clients to solve any self-image problems or obstacles they may have. I take great care and pride in my appearance as I want my image to reflect what I think a knowledgeable and successful professional image consultant should emulate. 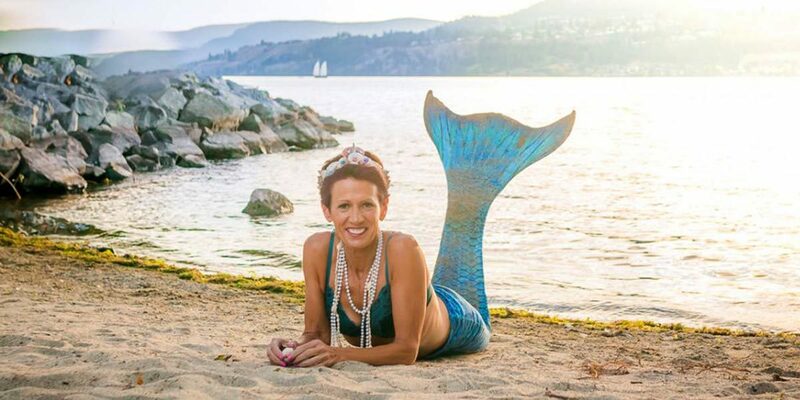 As the owner of another company - Okanagan Mermaids, I have made appearances as a mermaid at different events in Kelowna, British Columbia, Canada. I started Okanagan Mermaids with a vision to promote diversity in our community and to advocate for women of all ages, sizes, personalities, social, economic, cultural and educational backgrounds. I have several other mermaids that I work with and they have enriched my life in so many ways. The Okanagan Mermaids don’t just show up at an event, we spend hours of preparation to become our mermaid selves and we present our individual mermaid characters in a very thoughtful and intentional way. The feedback and reactions we have experienced have been very positive and rewarding. Donning my mermaid ‘persona’ does as much to empower me as it does the people that we meet. I hope my blog will encourage you to try on some different images and personas. We are more than the sum of our parts. I would also like to encourage you to think about working with Jennifer Grant International. There is no problem too big or too small that I can’t help you with.